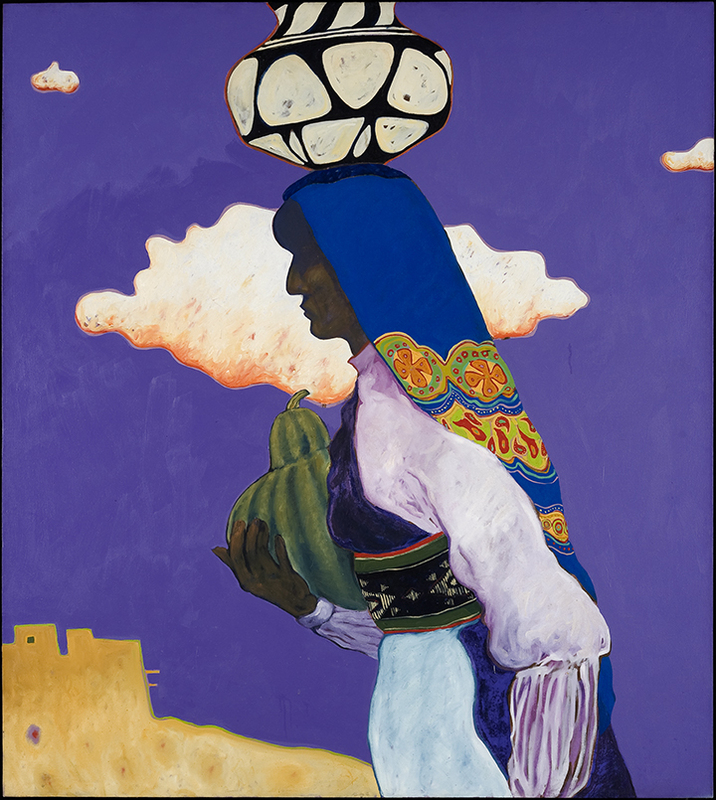 T. C. Cannon (1946–1978, Caddo/Kiowa), Cloud Madonna, 1975. Acrylic on canvas. Collection of Charles and Karen Miller Nearburg, promised gift to the Hood Museum of Art, Dartmouth College, Dartmouth, New Hampshire, Copyright 2019 Estate of T. C. Cannon. The exhibition “T.C. Cannon: At the Edge of America,” organized by the Peabody Essex Museum, runs April 6 to Sept. 16, 2019, at the Smithsonian’s National Museum of the American Indian in New York City.